Kids and adults may view summer break as a time to chuck the schedule out the window... no bedtime, no need to schedule chores or homework time and lots of time to play and relax. Right? Wrong! Though summer is a great time to take a more relaxed approach to life, parents still need to keep structure and set limits. Without that consistency, kids go off the rails and often end up fighting with siblings and parents. Summer break turns into summer nightmare pretty quickly. So avoid the chaos and remember to keep your kids accountable, even though it's summer! Make a summer bedtime and "rise and shine" time, and stick to it. You don't need to stick with the school year schedule, but make one that is adapted for summer. Bedtime can be a bit more flexible and later than the school year bedtime, but it still needs to be reasonable. Don't let your child stay up all hours because it's summer. Also, your child can still "sleep in" but can be up early enough to have some morning hours to attend a camp, play with friends or do chores. Letting kids sleep until all hours will only lead to staying up late at night, and it will be a tough habit to break when school starts again. Limit screen time. Trying to get things done while kids are home for summer can be challenging. Many parents resort to "electronic babysitters." And it's easy to lose track of time during the summer. One day flows into the next, and pretty soon you notice that your child has been playing to same video game for two days straight! Turn off the electronics and plan some activities. Planned activities will help fill in the gaps of summer. And if your child is at a camp, you'll have time to get things done. If camps aren't an option, then be flexible. You might have to let the house get messier than usual or have your kids tag along and help with errands. It's better than parking them in front of electronics all summer! 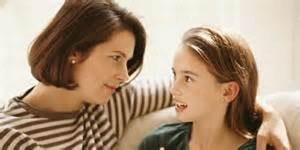 Be consistent with your child's responsibilities. Take this time to make changes to your chore list. Give your child more responsibilities. Set up a chore chart. Pitch in and make doing chores fun. If your child is an early riser, encourage him to do his chores right after breakfast and be done with them for the day. Include some summer chores like working in the yard, planting flowers, and raking. Maintain family rules and consequences. Have a family meeting and make up a new set of "summer family rules and consequences." Kids do best with structure and consistency, so make sure that you follow through even though it's summer. By having your kids participate in the process, they will be less likely to argue and resist if they need a consequence for breaking a rule. Summer doesn't have to be a time for your kids to "go crazy" and forgo all the rules of the school year. With structure and schedules, you can have a problem free summer!